Suitable Size & Ergonomic Design: 10.5*6.2*4 cm, fits perfectly in the palm of your hand to make it easy for brushing. 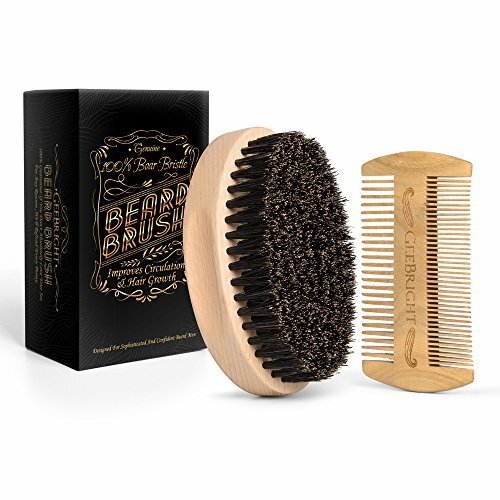 Healthy and Genuine Boar Bristle Brush: the wood hand crafted brush is made of 100% boar bristle, soft transform your beard and brings you the best grooming experience. Easy to Clean: Dry clean the brush by running through with a large comb and remove loose hair, or just clean it with water. 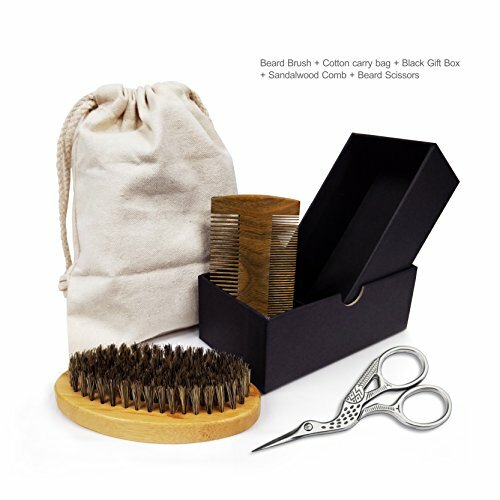 Great Grooming Kit – Including brush, comb, trimming scissors. Works great on any type of beard, including long, short, thick, thin, soft, firm, coarse and tangled beard hair. Boar Bristle Brush – The brush is made of natural boar bristles and strong enough to get in your beard and smooth it out,yet soft enough, doesn’t scratch your skin , and no smell , not easy to fall off. 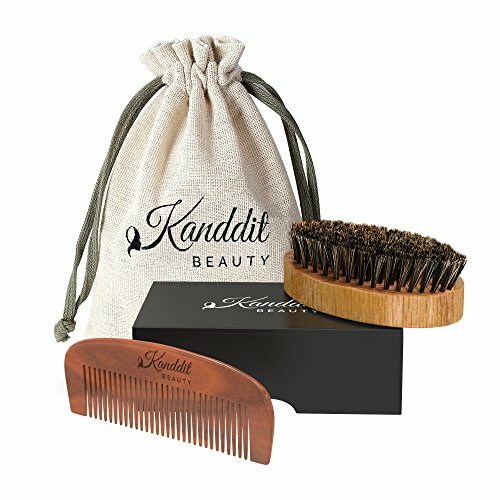 Dual Action Sandalwood Comb – The comb is made of solid & unbreakable sandalwood , with wonderful sandalwood smell and designed as thick teeth & thin teeth , easily runs through all types of beards – fine, thick, course or frizzy. COMPLETE BEARD CARE Set: Handmade natural pig bristle beard brush, peach wood beard comb, moustache and beard styling scissors, toiletry bag for travel and storage. BARBERSHOP QUALITY BEARD BRUSH smoothens, softens and styles facial hair. Perfect for maintaining and conditioning any type of beard size: short, medium, long and hair type: thick, coarse, hard, or tangled. TWO-SIDED BEARD AND HAIR COMB with fine and coarse teeth is designed to give maximum grooming precision. Works perfectly with your beard care products: oil, balm, wax, pomade, cream, butter, and conditioner. Easily Smooth and Styles Hair for a Striking Look – This dual action brush makes it easy to set the beard style you want with it’s easy to handle handmade genuine wood head. This classic tool combs your facial hair and stimulates the skin underneath while shaping your beard. By reaching the skin, this barber quality pro hairbrush encourages natural oil distribution to keep your beard feeling and looking healthy when it might otherwise tend to look dull and lifeless. 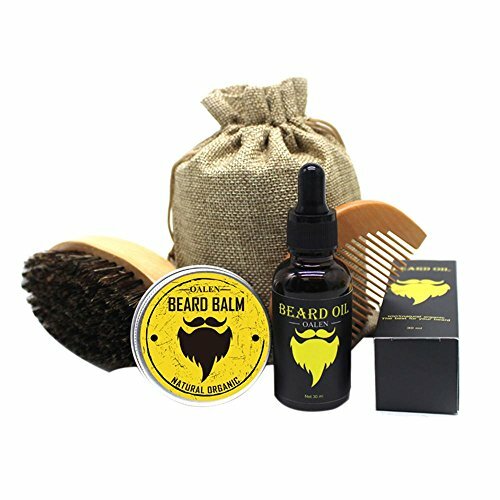 *Beard oil & balm combo: made of natural organic oils, 100% safe. Care your facial hairs on a daily basis without any unwanted scents or additives. *Beard brush: Made of 100% brithle. Natural boar bristles will help distribute oil and improve hard hair texture, styling, shaping, smoothing and conditioning. *Compact and easy to carry:you can take this to anywhere no matter travel or business. 15ml Tin Traditional Styling wax for beards and moustaches. Firm and moisture resistant. 15 ml Bottle of Traditional Beard Conditioning Oil. Use daily to make your beard fuller, Healthier and Softer! 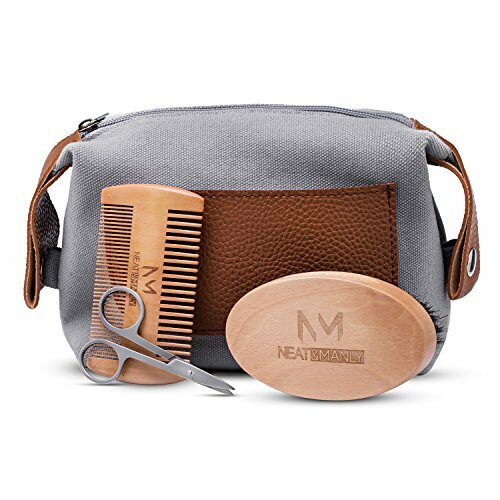 Premium 100% Natural Boar Hair Beard Brush and Comb set with travel bag and a Nice Gift Box.To use with your beard oils and beard balms. 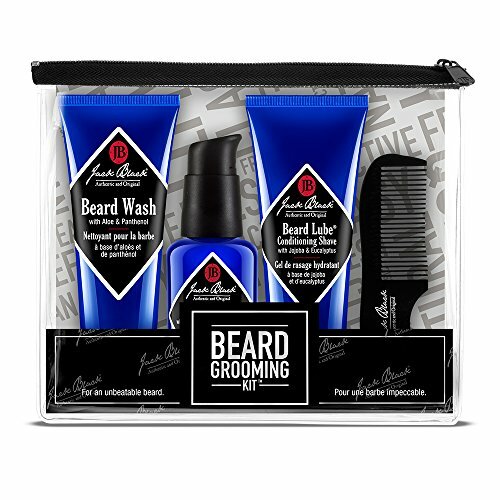 Perfect male grooming kit helps smooth and tame your beard and get rid of bread itch too . Use our high quality beard brush to style and groom your beard no matter how long or short it is. 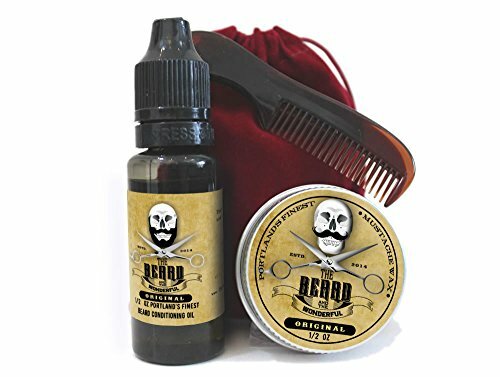 Can help smooth out the kink In your beard and works great with your favorite beard oil or balm. 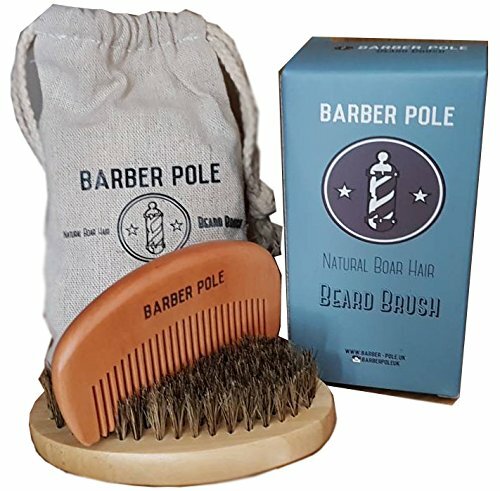 Comes with a pear wood detangling comb to tame the beard before you tackle your maine with the brush.